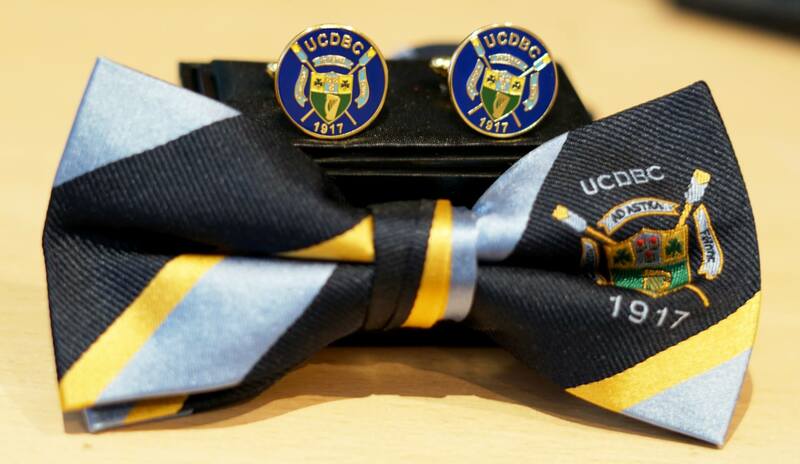 UCD Boat Club are delighted to offer these unique bow tie and cufflinks sets to our members and alumni. 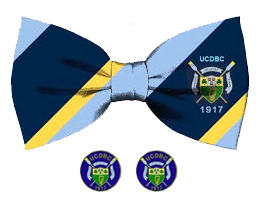 The bow ties are woven from pure silk, containing our club colours and crest, and manufactured to the highest standards by Caulwell Club Ties in Rathfarnham. 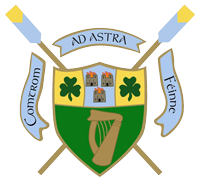 The cufflinks are Brass, plated in Antique Gold and finished in hard enamel showing the club’s crest. They come complete with a presentation box and are manufactured by Lee Brothers in Santry. 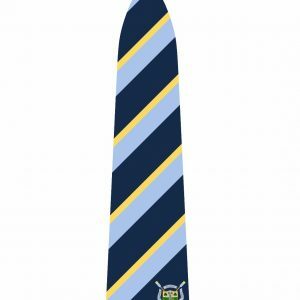 Whether for yourself or as a gift, these sets are an excellent way to show your support for the club.